7 Night Cruise sailing from Split to Dubrovnik aboard a Deluxe Superior ship. 7 Night Cruise sailing from Dubrovnik to Opatija aboard a Deluxe Superior ship. 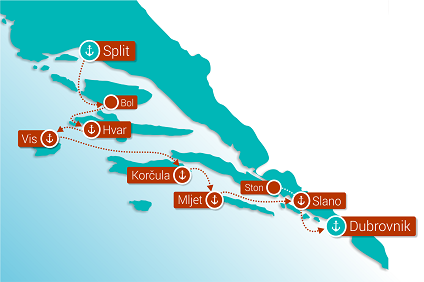 7 Night Cruise sailing from Split to Dubrovnik aboard a Deluxe ship. 7 Night Cruise sailing from Opatija to Dubrovnik aboard a Deluxe ship.